The Landing At Lake Greenwood - Ellev - The Best Full-Service, Award-Winning Ad Agency in the Carolinas! We at Ellev Advertising Agency love when we get to provide clients with full, turnkey services with their brand from start to finish. 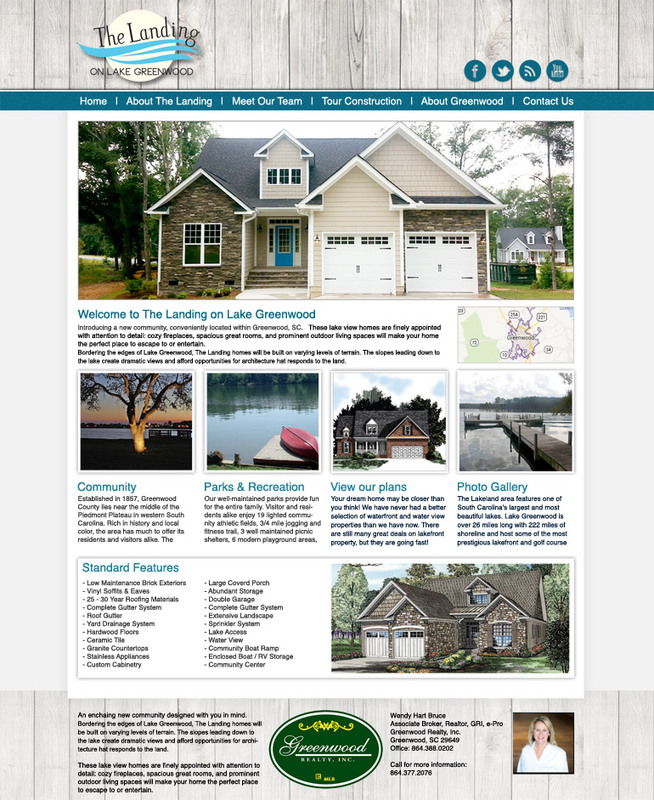 We had this opportunity with The Landing at Lake Greenwood real estate website design. We were asked to develop their logo, website, real estate brochures, signage, copywriting, and anything else that was needed in the branding of this beautiful lakefront community. With the website, we did a design with a relaxing, homey feel that the client wanted to use to capture the true feel of a laid-back, lakefront lifestyle. We took this imagery and branding and used it all throughout their advertising and marketing materials from their logo to their website and real estate yard signs. We know how important is it to convey a message and feel in advertising and marketing. And that you can to maintain continuity in branding in order to drive that message home to your target market. With The Landing at Lake Greenwood we did just that in their branding from start to finish. We used this message to say that The Landing at Lake Greenwood wasn’t just a real estate development, but an entire lifestyle. Come to see us at Ellev Advertising Agency when you need your brand to be a lifestyle and a message and not just a product!